Haute Hijab have announced that their Spring/Summer 2013 collection is due to launch tomorrow (June 18th), along with their redesigned website! 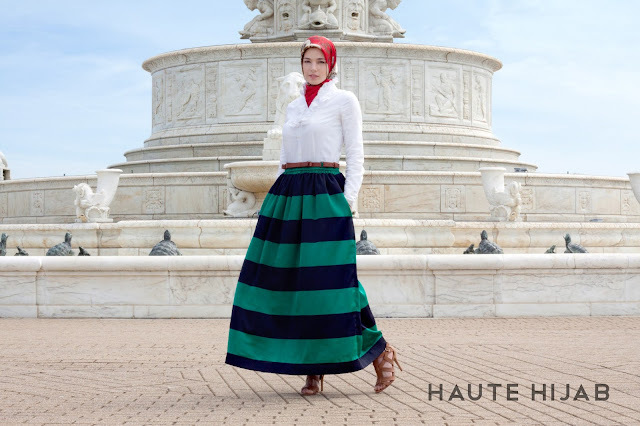 I always look forward to the new arrivals from Haute Hijab as it's one of the few modest fashion companies that really take into consideration the needs of their target audience and how their clothes will actually be worn. These classic pieces are elegant and well made, and you won't need to faff about with clingy fabrics and poor workmanship. Secondly, I love the fact that HH are restocking old favourites like the Majestic Lace Skirt; so if you didn't get your hands on it first time round, here's another chance. Love them all!!! Especially the lace skirt and the last one - sophia gown. so cute..love it ..i wish i can have !